We've been planning on sharing interviews with the roasters we partner with since our inception. 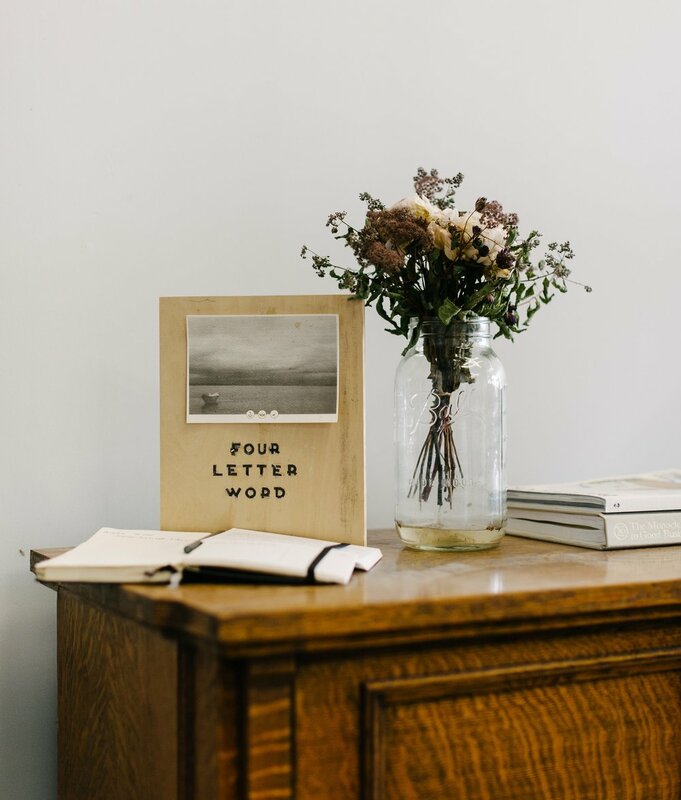 Though it took nineteen months to implement, we felt like there was no better time than now to introduce Four Letter Word Coffee, whose multi-national presence is beginning to take hold in the U.S.
Ria Neri has her hands in A LOT of things. She's known for being a beer program director for some of Chicago's best restaurants and beer-centric spaces, she's one half of upstart Chicago beer company Whiner Beer Co. and most importantly to us she's one half of Four Letter Word Coffee. Four Letter Word began as a long-time friendship between Ria and Eylem Ozkaya — it was a great convergence of energies when the pair realized that Eylem's baking/pastry skills worked well with Ria's infinite desire to know more about coffee. Ozkaya had familial ties to Turkey — specifically, an island 35 minutes off the coast of Istanbul named Burgazada. Their dream became reality on the island in 2014, as a café which roasts and serves specialty coffee out of a tiny rectangular space known as Four Letter Word Coffee. In 2016, Four Letter Word and Whiner Beer Co. began roasting in the U.S. and brewing beer with more than ten businesses by opening up shop in The Plant — an innovative "incubator" space that values closed loop systems. The Plant's long term goals include complete reuse of waste and materials along with the production of energy to power not only the space itself but over two hundred homes in the region. Though still in its beginning stages, Ria can already rattle off ways in which byproducts of coffee roasting and the jute bags that green coffee ships in are being reused throughout the building. Our partnership with 4LW began with a serendipitous encounter. While reading through the list of folks participating in this year's Uppers and Downers, a beer + coffee focused event held yearly in Chicago, the new and unusual name piqued our interest. Considering Ria has her feet firmly planted in both the specialty coffee and craft beer worlds, forging a connection was a no-brainer. Our number one goal at Superior Merchandise Company is to offer unparalleled + unexpected hospitality for our guests and we can think of few better ways to deliver than by bringing in a roaster that until now could be found only in Chicago + Turkey. What brought you to coffee? I drink a lot of coffee, and decided I needed to know more about it. I’ve always been curious about processes, especially those that involve multi-levels of sensory and craft - food & drink. They can be instantly gratifying, once served to you, yet they took multiple steps to get there, with each process of the journey being so important to the end product. Sitting in a hut in Southwest Ethiopia, no electricity, only fire, stars out at night, sounds of nature, shoes filled with mud, unshowered but happy, drinking traditionally prepared Buna. How "different" is 4LW's coffee in context with what is being served in Turkey? While we serve the same quality coffees in Turkey, via the same “modern” methods, in Turkey, coffee is more of a social ritual. Our coffee shop stays open until 2AM. 2am? Does it serve alcohol? Nope! Technically we are open until midnight; however, people linger up until 2 am. Are you incorporating traditional Turkish brewing techniques with newer specialty coffee techniques in service on the island? In Istanbul, sometimes yes. We incorporate traditional Turkish brewing techniques, but utilize better coffees — for instance, instead of a bulk Brazilian Rio Minhas coffee (common in Turkish coffees) we will use a Yirgacheffe, or a coffee from Burundi…etc. We also will play around with grind size, extraction time, etc. But, most people, as I, prefer drinking the traditional Turkish coffee. Most of our guests want a taste of nostalgia more than anything else, and would rather explore specialty coffee through other methods (pourovers…etc). So in Burgazada alongside pourovers and espresso, you are also serving Turkish-style ibrik coffee? We are, yes. It’s not on the menu, however. We tend to have native islanders and traditional older folk ask for them. Can you speak to any of the infrastructure difficulties of running a roastery on an island that doesn't have any motor driven vehicles? Is green coffee tough to move? Yes and no. Logistically it takes a bit more planning — scheduling a ferry for instance is harder than scheduling a truck. But once it's on a boat, with the help of able-bodied people on the island, it’s a breeze. Any wild stories about operating a specialty coffee business there? Lots of cats. It’s not just people watching anymore. Big cats catnapping little cats, seriously, and then taking off your barista apron because you’re having to chase after them so the little ones stay safe. How difficult was it to transition from roasting on a Geisen 6K roaster (in Turkey) to a Probat 12K roaster (in the U.S.)? Not so difficult. The Giesen was the first roaster I have ever roasted on, so that in itself was already challenging. I was learning “how to” roast, but at the same time learning about the machine itself. Having gone through all that, when I was faced with a Probat, the transition was very smooth, the Probat is more manually driven & very intuitive, which is the way I love to work. Can you pinpoint and discuss a moment on your roast learning timeline where you felt like you'd made a major breakthrough? I feel like it was not any single moment, but I think the major breakthrough was once I established my own system on paper wherein I was able to visually compare data and make decisions based on them. There are so many variables in roasting, and I was able to isolate each one of them in my head, however, until I was able to put those pieces together, it helped me make sense of the puzzle’s big picture. We do use Cropster, besides, and it’s a very useful tool to keep the findings based on my system consistent. Any advice for folks just starting out with roasting? Don’t be scared. And buy great green coffee. It does not matter how “perfect” you roast it if what you begin with is bad. Can you detail your most surprising revelation when visiting a coffee producing territory? Sounds cliché, but very true — how much I don’t know and still need to learn. Each origin is different. Every visit I come armed with new questions, develop questions while I’m there and leave with other new questions. Lots of questions always. Being a new/small roaster, can you speak on what you believe your role in being present at origin is? There’s a sense of gratitude that is exchanged between roasters & producers that is especially motivating to both parties; that human connection helps me to be more mindful and do things better. 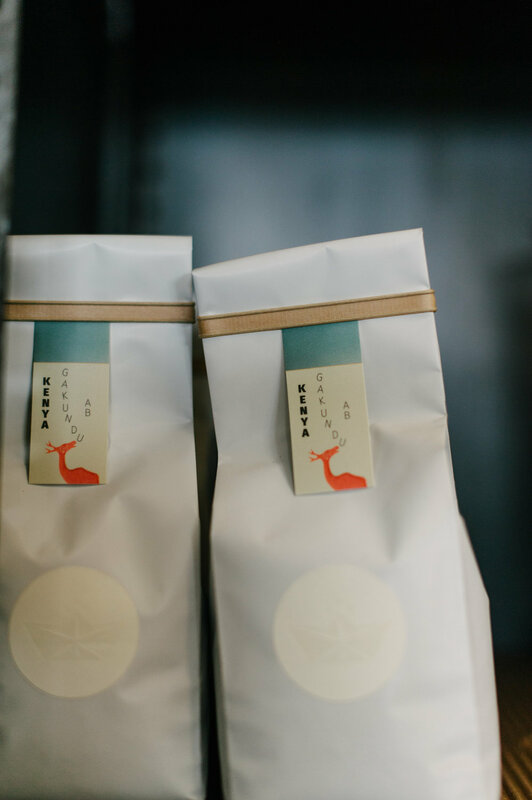 What made you decide to package Four Letter Word's coffee in 10oz retail bags? I think that 10oz bags allow for more variety of open coffee bags at home, without the risk of one getting older before it’s finished. Especially with single origins, those coffees are more about exploration, and you know, maybe I feel like going to Burundi one morning, maybe Honduras another. Your bags are the first bags we've placed on our shelves that don't have the actual roaster name spelled out on the front! Clearly this isn't a mistake — I suspect it speaks more to your desire to let the coffee speak for itself? Tell us about this decision! I’m pretty minimal and I love when simplicity can make a statement. I suppose that I wanted the bags to stand out on their own, force a sort of mystery on the consumer, hopefully encouraging them to pick up and ask about it, without being distracted by a brand name, and stimulating conversation. Can you talk about any similarities or differences between the specialty coffee industry and the craft beer industry? What I love about both industries is the sincere interest from the audiences on the product you produce, like an appreciation from both parties which is reciprocal. Once again there is this product that is a catalyst for human connection and interaction. Non-flattering criticisms also welcome. In what ways does your experience as a beer program director/buyer come into play as a green coffee buyer/leader at 4LW? When I was (still am) a beer buyer, I bought beer based on quality & where it came from (which brewery, which brewer, their philosophy). I do the same with coffee. 4LW's visual aesthetic is kind of the polar opposite to Whiner — the former being stately & thoughtful, the latter being fun and whimsical. Were these intentional choices when bringing these brands to life? Not intentional, it was more organic. They are a statement of merged personalities, I think. 4LW — Eylem (my 4LW partner) is classical, where I am more of a minimalist. I brought that simple, minimal aesthetic to Whiner and combined it with Brian’s (my Whiner partner) bright & animated charm. As loud as the cans are, the illustrations are very simple. Your description on the Good Beer Hunting podcast of wanting to share/create "WHOAments" (great term, by the way!) — is that your singular, driving force for your businesses? A WHOAment is that time when you flip on your chair after an encounter with a seemingly familiar product or thing or idea that completely changes everything you have ever perceived about it. I love sharing my “WHOAments” — seeing others experience theirs, therefore changing their lives (or palates) forever. And re-living my WHOAments in return. How much collaboration is there in each 4LW and Whiner? Are both 50/50 with each respective partner? Full collaboration, yes. We respect and trust each others skills. And lastly, what is the best piece of advice someone has ever given you? Always be patient and listen to music. Thanks Ria! We look forward to having your coffee on bar from March to April!